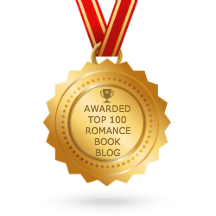 I was notified the other day — much to my surprise— that this blog has been listed in the Feedspot Top 100 Romance Book Blogs. Nice, eh? It made me aware that I’m been neglecting the blog lately. So I’m going to try to return to my regular Sunday postings.